Condition: NM, poster is single-sided, and has been linen backed (actual size w/backing - 18½" x 26¾"). Poster is printed on a thin matte paper and the colors are muted dark and still very nice. 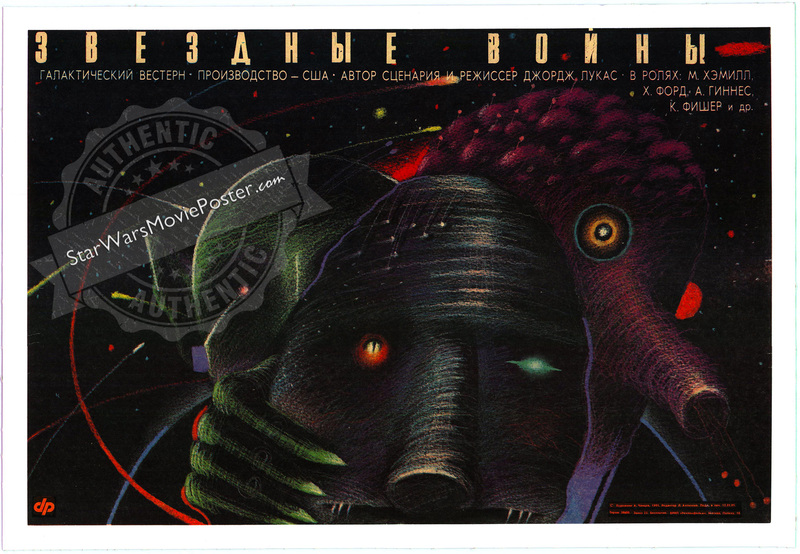 This small horizontal one-sheet is a really unique theatrical piece from the former Soviet Union. A country who had to wait several years before playing the "capitalist" film. It is ready for framing and would make a great addition to anyone's collection. Please click on the extra large supersize thumbnail image to the right, to see all the small defects. 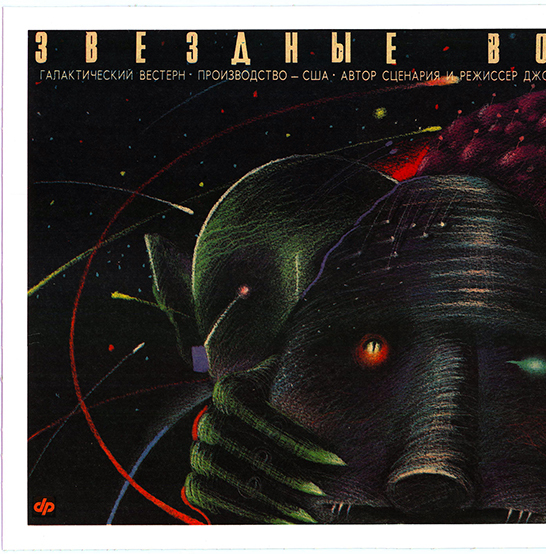 Original Russian release poster for the general public in September '90. 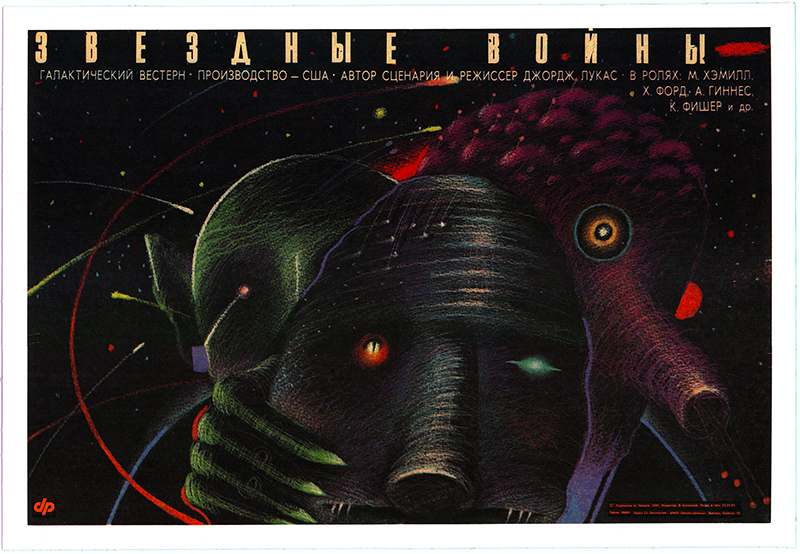 The artwork is by Chantsev, who was one of Majstrovsky's protégés. (Igor Majstrovsky did the style "A" foreign poster for Russia). This smaller lobby poster is also known as the "Cantina scene" or also referred to as #650. 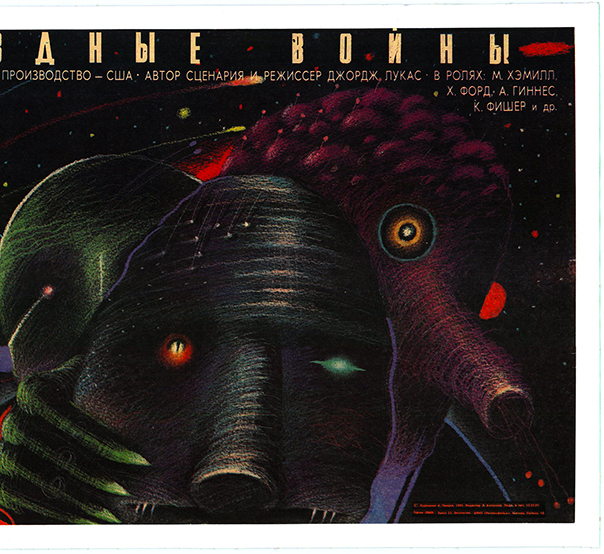 The Russian Star Wars title "Звездные войны" is found across the the top in white lettering, and the red distributors logo (dp) is on the lower left hand side at the bottom. 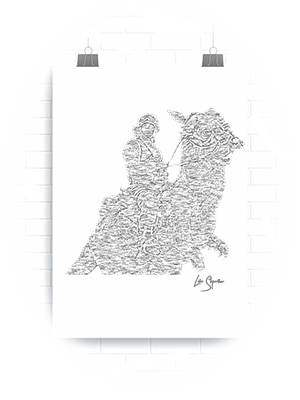 Poster can be found in both matte and glossy versions.